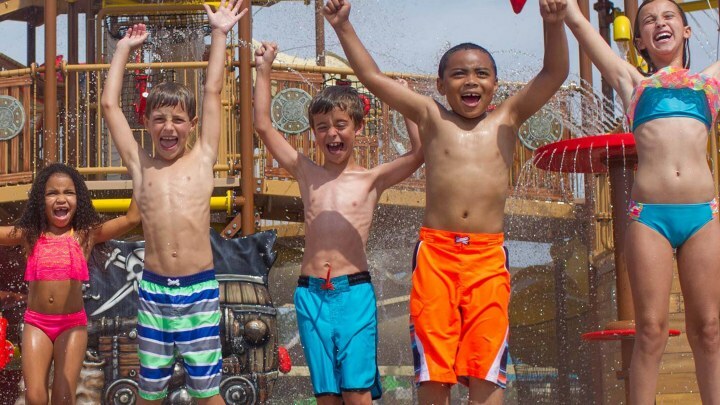 Splash into an ocean of kid-friendly fun with the nicest pirate on the Outer Banks. 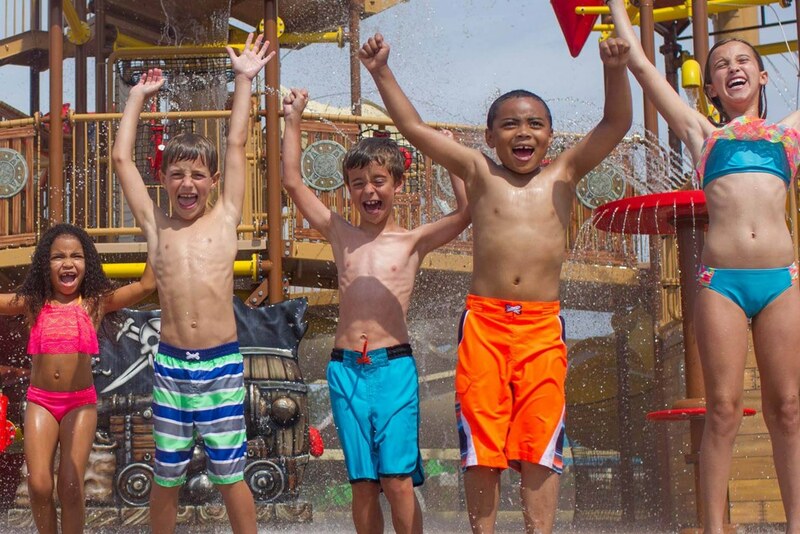 What was once the most fearsome vessel on the high seas had been completely transformed into a wet and wild playground! I ran for the nearest water slide and rode it down into the shallow water. A geyser made me laugh as it bubbled over my toes. Overhead, a water cannon blasted its awesome spray through the air. I scrambled to my feet, eager to explore the rest of the structure. Buckets, troughs, and cones filled with water poured out everywhere, soaking us all! Suddenly, I caught the eye of Calico Jack himself. He was standing proudly amid the fluttering sails of the ship. Was it my imagination, or did he nod in my direction? I didn't stop to figure it out. Instead, I found a water blaster of my own to fire and plunged straight back into the splash-tastic adventure!